Cruising royalty Jane McDonald is back doing what she does best – taking her audience with her on the high seas to explore cruising life in the second series of the hotly anticipated ‘Cruising with Jane’. 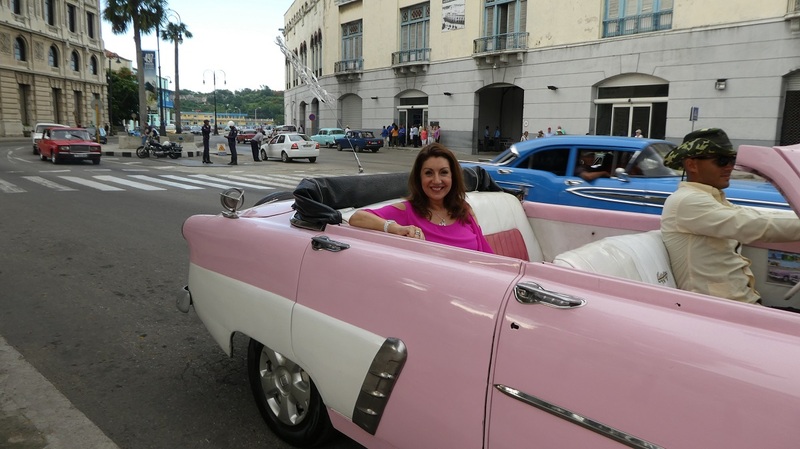 The final episode airs tonight at 9 pm on Channel 5 and sees Jane fall in love with Cuba on the grand ship Celestyal Crystal. Beginning and ending in Havana, Jane experiences Cuba’s firebrand spirit both on and off-shore with visits to Cienfuegos, Santiago de Cuba as well as a stop in Montego Bay, Jamaica. Back on board the classic Celestyal Crystal, viewers will get a feeling for life on-board including the lively on-board entertainment, outstanding Celestyal hospitality and cocktails with the captain. The Celestyal Cuba cruise offers the most Cuban ports of call on a single itinerary, the complete circumnavigation of the island includes many of this fantastic hidden gems that other operators cannot offer. The 2017-2018 season features a seven-day cruise program which includes two full days in Cuba’s vibrant capital, Havana, the charismatic Cienfuegos, an 18th-century fortress, historic Santiago de Cuba, capital of the Spanish colony of Cuba and Montego Bay in Jamaica. Established in 1998 World of Cruising cruise magazine is a luxury publication packed with helpful destination guides, cruise ship reviews, the latest in international cruise news and developments, holiday travel advice and much more!